Rev. Paddy Palomaki is an Ishpeming, MI. native and became a born again Christian at a National Guard Summer Camp in Gaylord MI. in 1974. Paddy and Gail then became members of the Good News Assembly of God in Ishpeming. He felt strongly the call of God into full time ministry and began attending North Central University in Minneapolis in 1975. While in Bible College he pioneered a Childrens Ministry at Emanuel Christian Center under Pastor G. Mark Denyes that soon developed in him becoming their full time Childrens' Pastor. Pastor Palomaki had a specfic word about pioneering a new work in Marquette MI. In January of 1981 he took over the newly birthed Assembly of God Home Missions work in Marquette, MI., the Calvary Assembly of God. It then became the New Life Church in 1985 and was established as a Charismatic Ministry. Rev. Paddy Palomaki along with his wife, Gail, served (21 years) the Marquette congregation through 2001. They then moved to Bay City, MI. for 6 years and did itinerant ministry. Paddy was installed as Senior Pastor of Northwoods Christian Assembly in October of 2007. They moved back to Ishpeming in January of 2010. Gail is also a minister ordained with Charismatic Ministries. 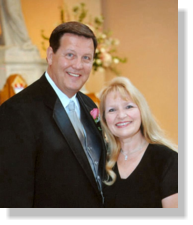 Pastor Paddy and Gail have 4 children and 12 grandchildren. They are glad to be home again in the U.P. They have a great vision for the Upper Peninsula and believe God has placed them here for such an hour as this! They are now launching Parachurch Ministries in an effort to expand God’s Kingdom in this region of Michigan.